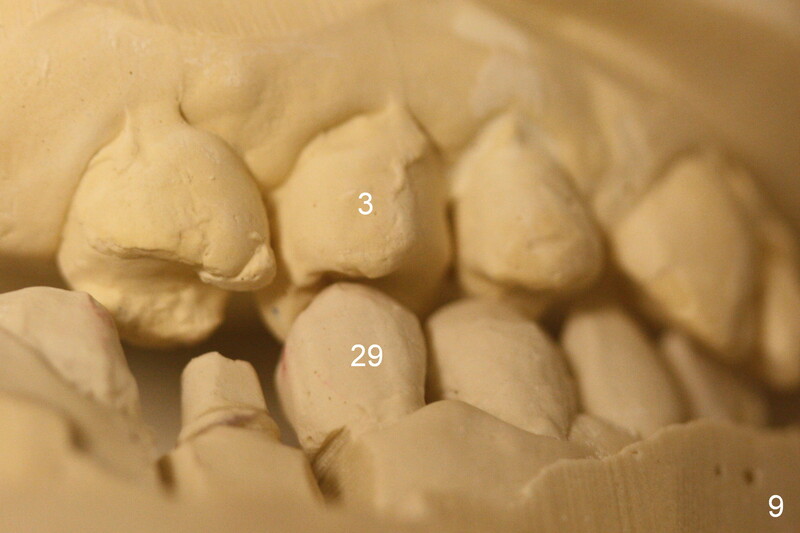 The malpositioned #29 was distalized using #32 as an anchorage. 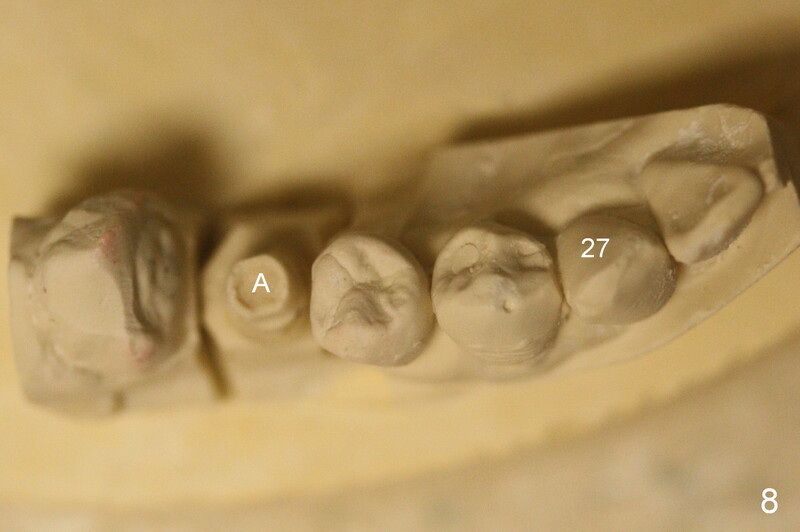 Crowding exists around #27 (Fig.1). 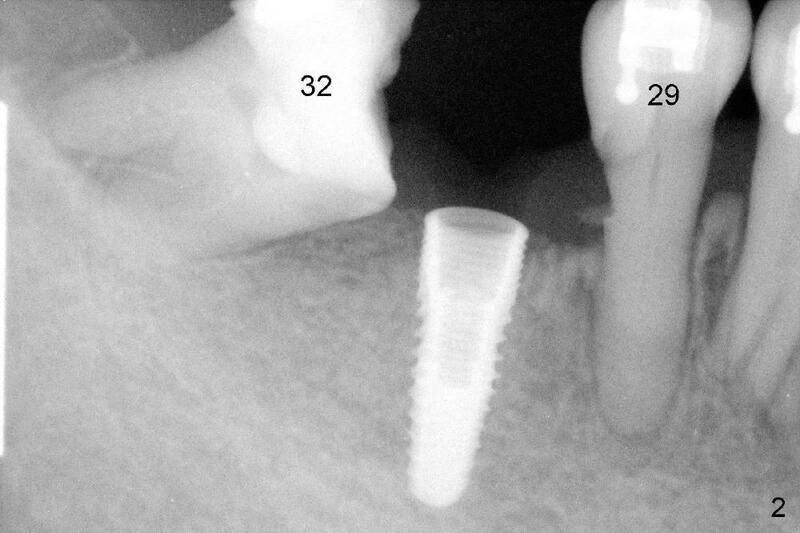 To distalize #28 and 29 more effectively, an implant is placed at the distal socket of #30 (Fig.1 D; Fig.2). 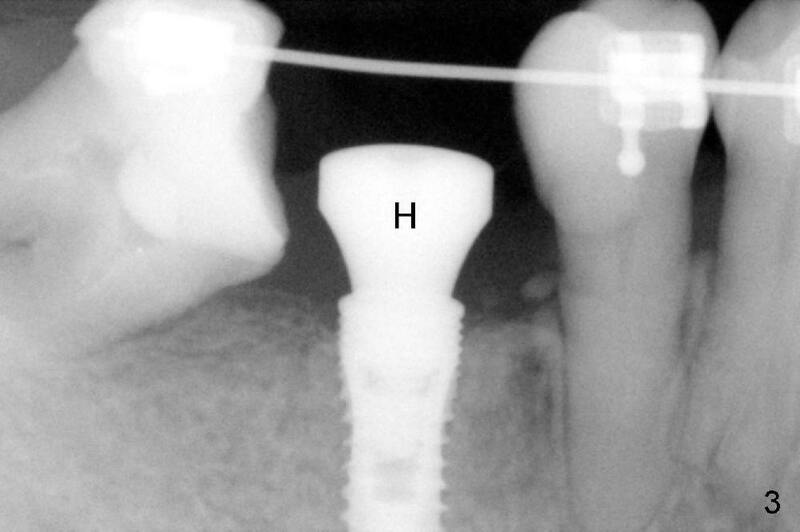 Four months later, the implant appears to have osteointegrated (Fig.3; H: healing abutment). 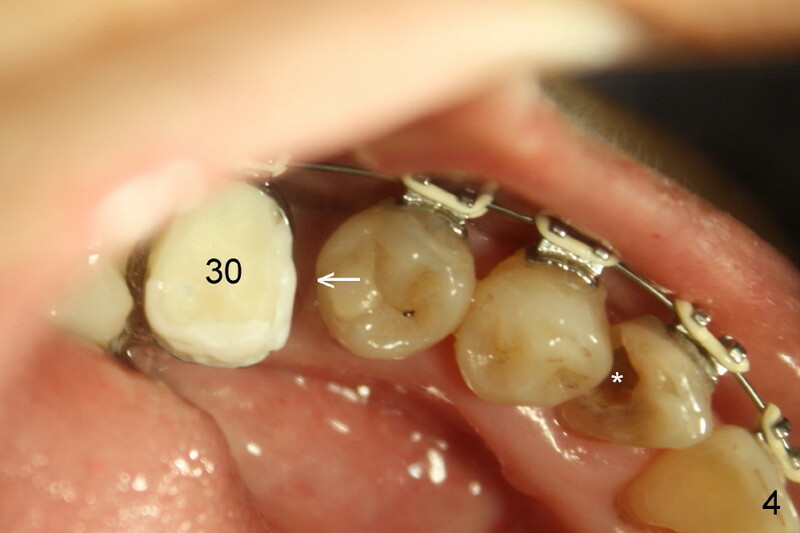 An abutment is placed; a provisional is fabricated, a premolar band is tried in and cemented (Fig.4: #30). 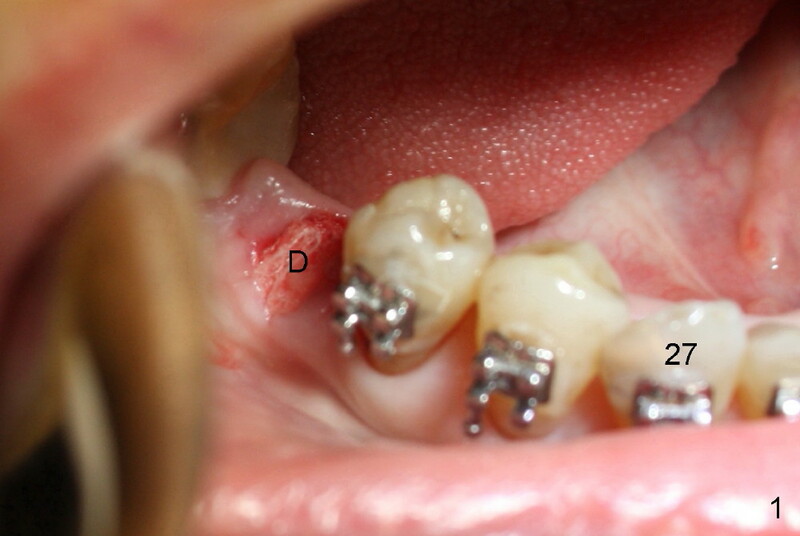 Next visit, the implant will be used as an anchorage to distalize #29 and 28 (arrow) so that there is enough space to restore the distal defect of #27 (*). The upper midline seems to be deviated to the left (Fig.5 dashed lines). 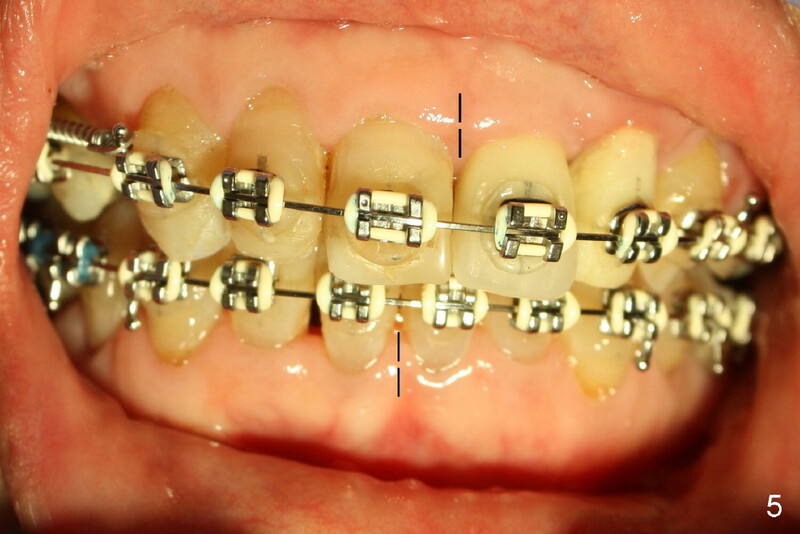 There is large anterior overjet (Fig.6 double arrows). 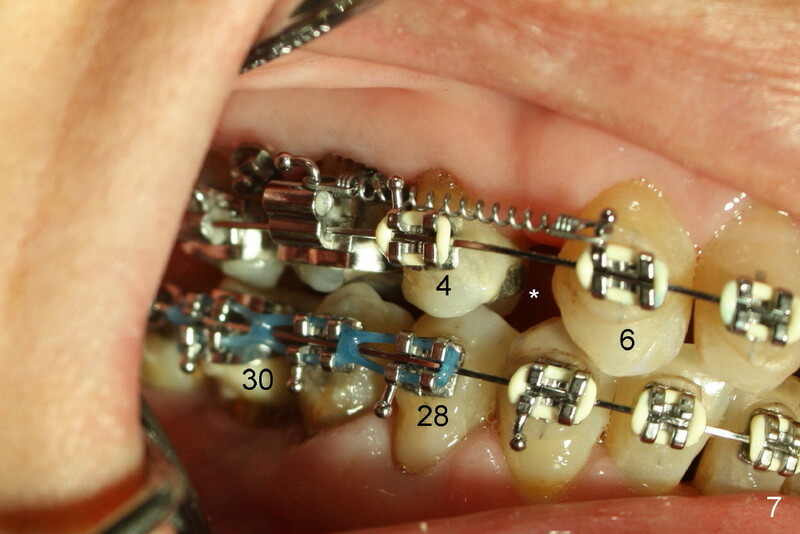 The space between #4 and 6 (Fig.6,7 *) is to be closed by a closed spring between.#3 and 6, whereas the space mesial to #30 (Fig.4) will be closed by power chain between #28 and 30 (Fig.7) so that the tooth #27 has space to rotate and the distolingual caries is to be excavated (*). 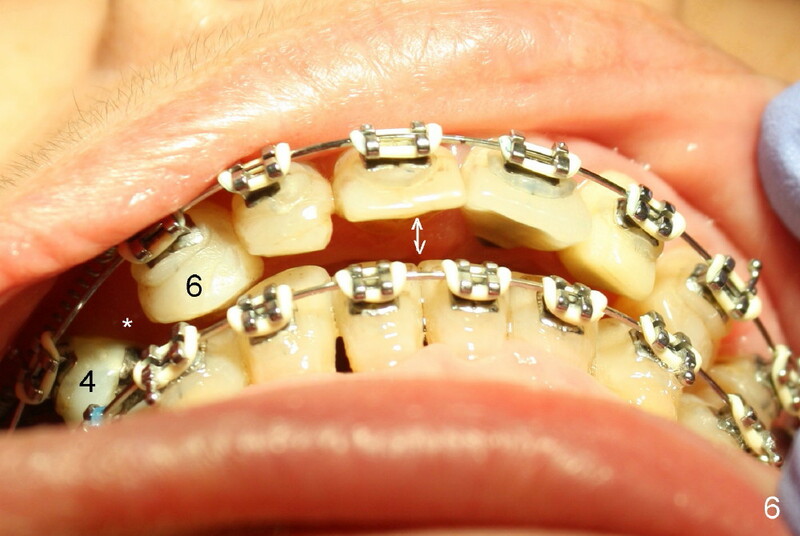 Several months later, the goal is achieved (Fig.8,9). A definitive restoration is fabricated over the abutment (A) at the site of #30.